Amidst the fancy romantic comedies currently dominating the realm of Korean dramas, OCN is able to successfully stimulate our sense with this one-of-a-kind electrifying noir that gives the viewers catharsis right off the bat. Voice is a crime-thriller series starring veteran actor Jang Hyuk alongside talented actress Lee Ha Na. Popularity-wise, some say that this drama goes head-to-head with the critically-acclaimed Signal. 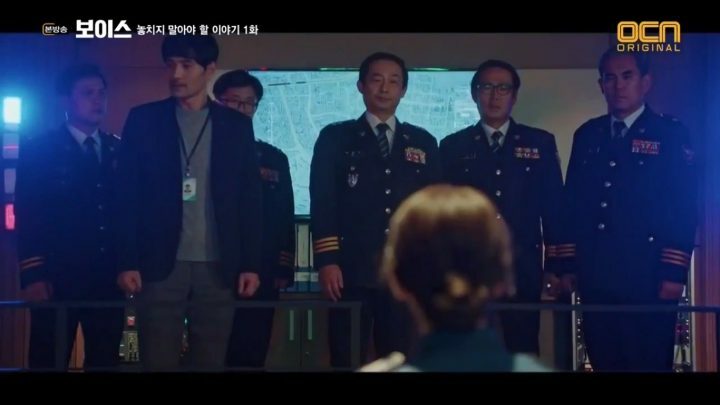 However, Voice offers a fresh concept that has yet to be seen in other dramas, and its hard-boiled storyline makes every episode intensely gripping and impossible to resist. Its hard-boiled storyline makes every episode intensely gripping and impossible to resist. 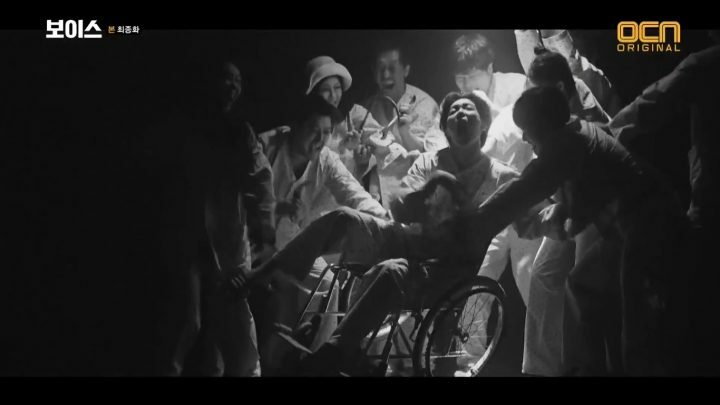 The story kicks off with a gory incident happening in Eunhyung-dong. 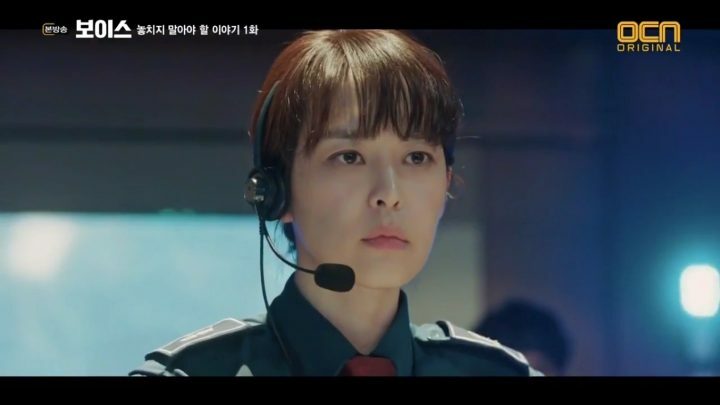 A woman who tries to flee from an unknown perpetrator ends up being brutally killed while on the phone with Kang Gwon Joo (Lee Ha Na), an officer of at the Sungwun 112 Emergency Call Center with perfect psychoacoustic skills. This woman is soon identified to be Heo Ji Hye, the wife of the infamous ‘crazy dog’ Sungwun detective named Moo Jin Hyuk (Jang Hyuk). Guilt-ridden, Jin Hyuk is left extremely devastated after his wife’s inhumane death, and all the more after Gwon Joo’s firm testimony during the trial that results in the assumed culprit’s release. Three years later, Jin Hyuk has drastically changed and grows excessively impulsive as the aftereffect of his mishap, causing him to be demoted from his detective post to a patrol officer. On the other hand, Gwon Joo voluntarily returns to Sungwun Police after studying in the US for two years to become a professional voice profiler. She proposes to create and lead a new 112 Emergency Call Center subunit named Golden Time team. The team’s objective is to solve various type of emergency cases within the golden time and with 100% arrest rate. With an undisclosed motive, she then recruits Jin Hyuk to be the team’s manager, much to his disbelief. Jin Hyuk is initially reluctant, but after hearing the woes of people in need, he instinctively returns to his old headstrong self and acts upon Gwon Joo’s auricular guidance. First off, I’m really satiated on how the drama is able to showcase the message it wants to deliver to the audiences. Voice is ought to serve as an eye-opener to our current police system, emphasizing how our modern society is in dire need of a well-organized police structure. The urgency of every emergency call is breathtaking, and if you look at it from a different perspective, failing to solve it within a specific timeframe can result to the victim’s cruel death. 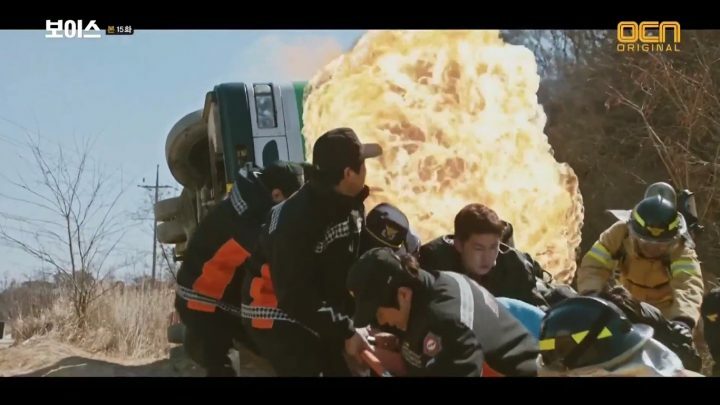 The cases shown in the drama are motivated by real-life events. Various social issues are extensively brought to light in the course of the series making it alarmingly relatable. Also, we’re able to get a wider mental picture about the background of each crime and how essential it is to determine the true cause to be able to work on a resolution. It wouldn’t have been nearly as striking if not for the effective delivery from its actors. Aside from its amazing production and well-written scripts, Voice wouldn’t have been nearly as striking if not for the effective delivery from its actors. Jang Hyuk and Lee Ha Na are able to forge their bestowed roles and knock it out of the park. 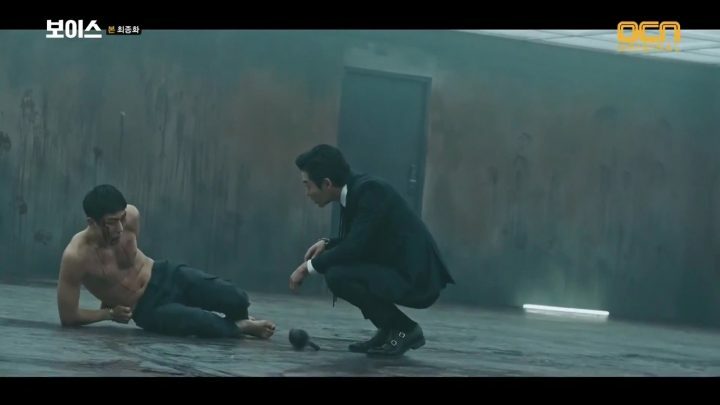 Jang Hyuk’s character as the invincible detective Jin Hyuk has become my personal favorite among these types of roles. I really like the way he spews his macho dialogues and barks the epithet “jerk” towards his opponents. Surprisingly enough, despite his rough exterior underlies his delicate personality as a husband, father, loyal colleague, and compassionate citizen. Lee Ha Na, too, perfectly personifies Gwon Joo. I can see how much effort she puts into portraying Gwon Joo convincingly, especially since her character requires her to maintain proper diction and enunciate even during the most gruesome situations. Gwon Joo’s professional, careful, and calm disposition creates a flawless harmony with the raw and monstrous Jin Hyuk. Later in the story, it’s revealed how the two of them are interconnected with an ill fate, driving them to fight for justice after experiencing injustices themselves. 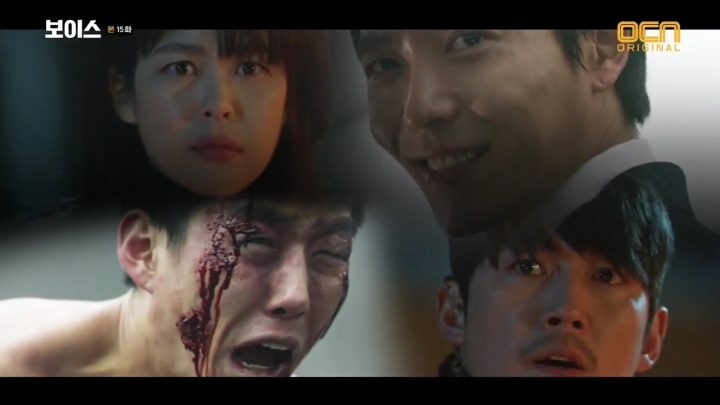 The criminals in the drama deserve high commendations for exploiting their best at being evil as well. Their crazy schemes truly riles my emotion along the way, countlessly keelhauling them in my head. However, it’s through them that our leads become purpose-driven and united in achieving a common goal, making their crime-busting journey a plausible and entertaining adventure to follow. I also want to express my admiration to all the side characters for their exceptional performances. Their roles are very vital and considering them as mere sidekicks would be an understatement. They serve the important purpose of balancing or fueling each scenario to adjust to the brisk and perturbing pace of the story. The realistic approach is already there, nonetheless, it can’t be denied that there are some parts of the drama which seemed too good to be true. On numerous occasions, Gwon Joo bewilders me on how she is able to rapidly analyze the situation even if Jin Hyuk only provides her a glimpse of what is actually happening. Such fleeting scrutiny doesn’t actually exist in the real world, although having someone with that kind of skills would be sublime. Moreover, Jin Hyuk spends most of his time risking his life to chase after criminals, sometimes disregarding the fact that he has a sick child always longing for his hospital visit. I’m pretty satisfied that an episode is able to show the danger Jin Hyuk can put his son to as a consequence of roping himself in this perilous duty. If not, it will indeed leave me head-scratching that they aren’t able to moot that significant facet about him. All in all, Voice isn’t second-rate. It is, in fact, greatly enthusing from beginning to end and literally pinned me at the back of my seat as I tag along this murder-solving adventure. The sequences of each event impeccably serve as tiny puzzle pieces waiting to be formed into a vivid picture. Voice has that influence to make me both affright and anticipating. The appearance of and emphasis on the cold-blooded killer’s character is done at the right timing, earning not only our leads but also the viewers’ superlative hate. If you’re up for something mind-boggling and adrenaline-pumping that fully emphasizes on our society’s underbellies, Voice would be a highly recommendable choice.